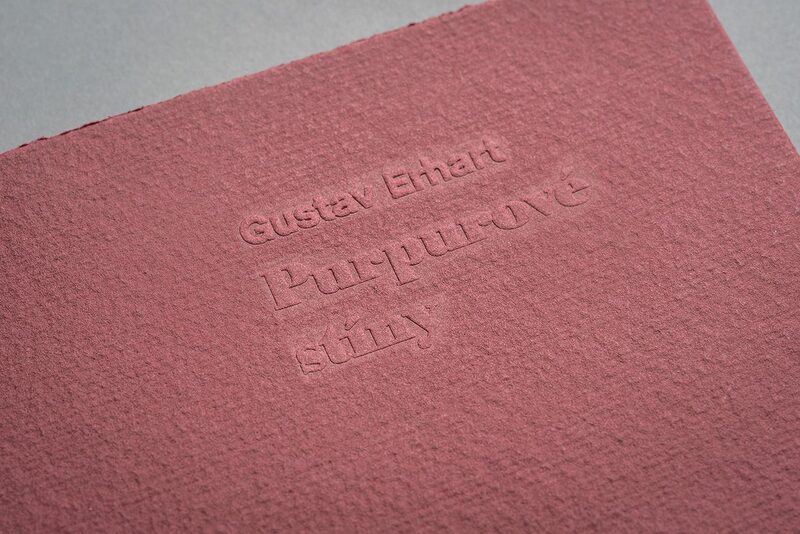 The poetry collection Purpurové stíny (Purple Shadows) by a Czech poet and art historian Gustav Erhart. 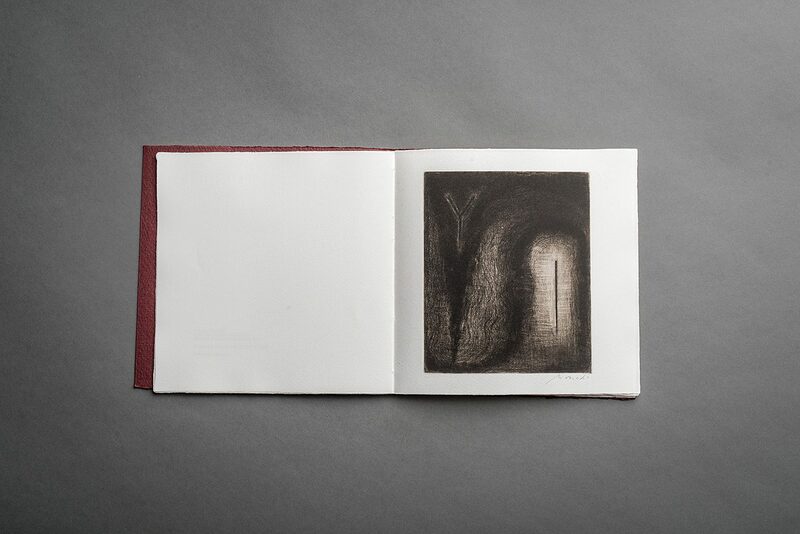 The artworks by Miloslav Moucha combine different graphic techniques such as mezzotint and drypoint. 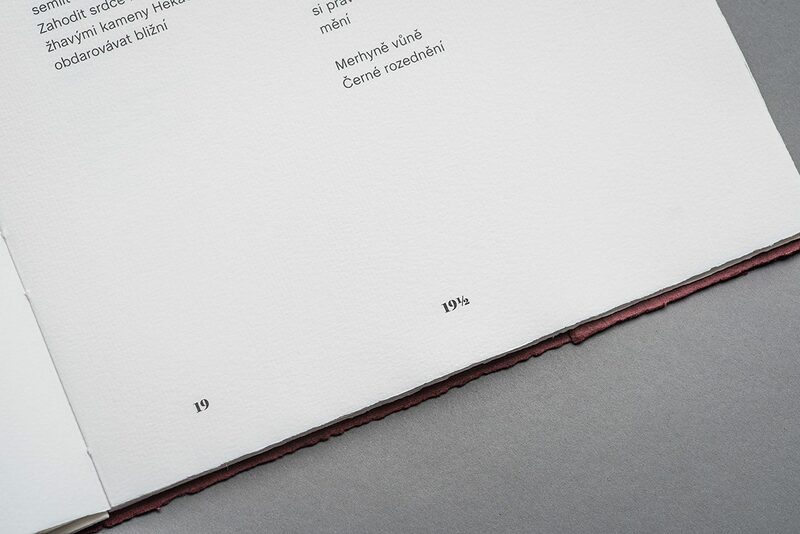 The graphic artworks were printed by an academic painter Dalibor Smutný on hand-drawn paper Losín in an intaglio workshop in The Academy of Fine Arts in Prague. 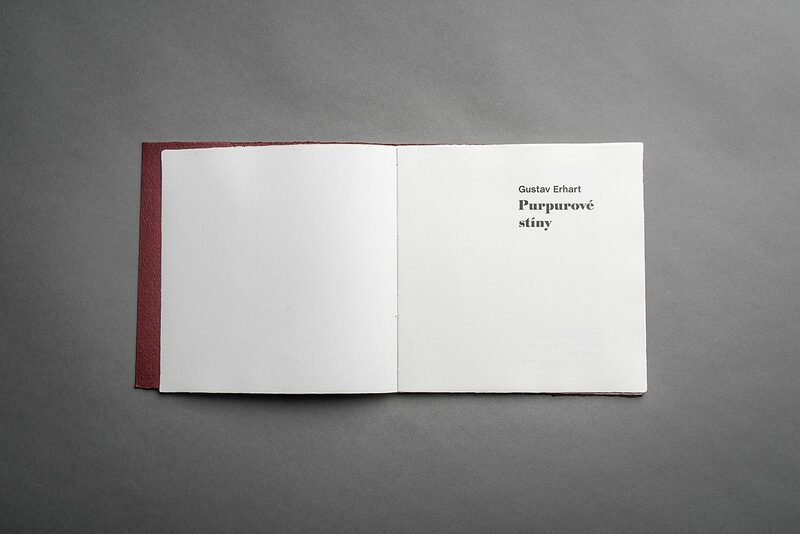 Graphic design and typesetting by Jan Herynek. 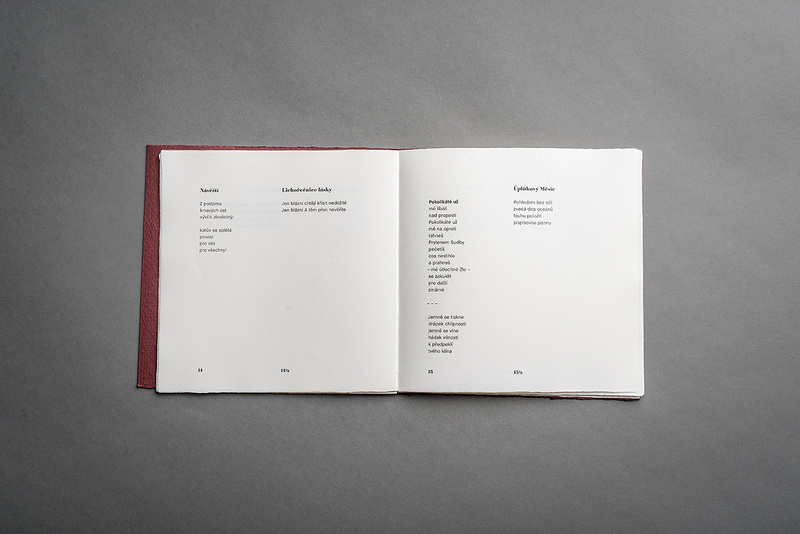 There are two poems printed on one page and due to this pages have a half pagination. 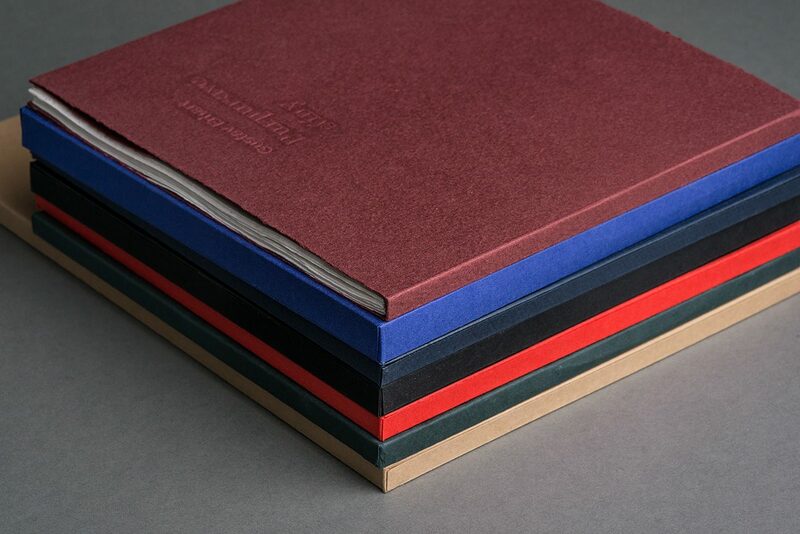 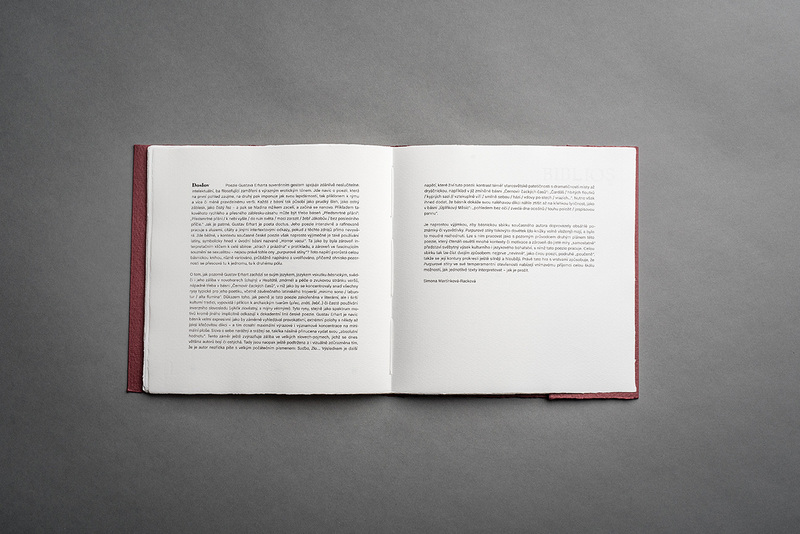 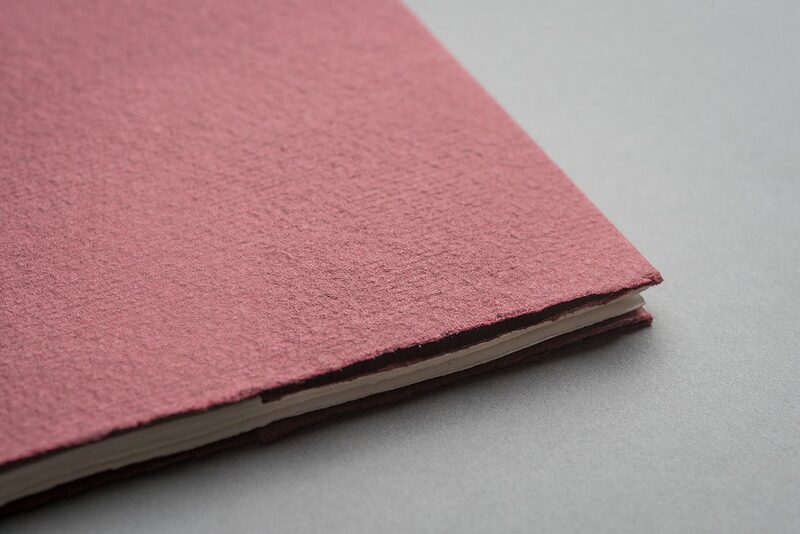 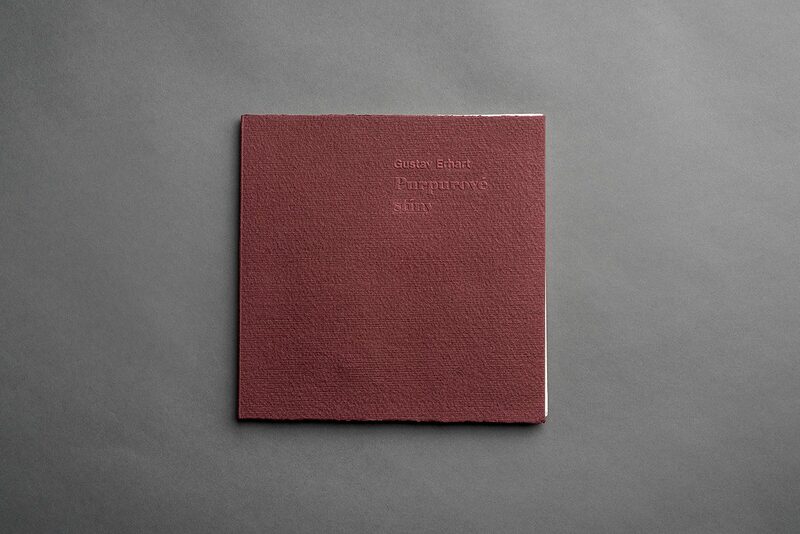 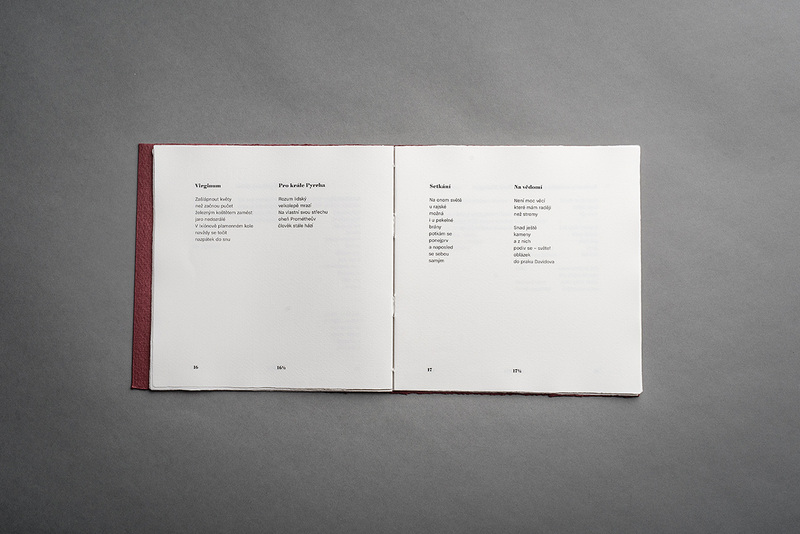 Jiří Fogl and Pavlína Rambová completed the work and provided the poetry collection with a hand sewn book cover.